Posted September 24th, 2018 by Leah Wood & filed under Community News, Company News, Industry News. Air Marking has been the noble ambition of the Ninety-Nines since the early part of the 20th century. This program of identifying airports was started as the National Air Marking Program and was the first U.S. government program conceived, planned and directed by a woman with an all-woman staff. 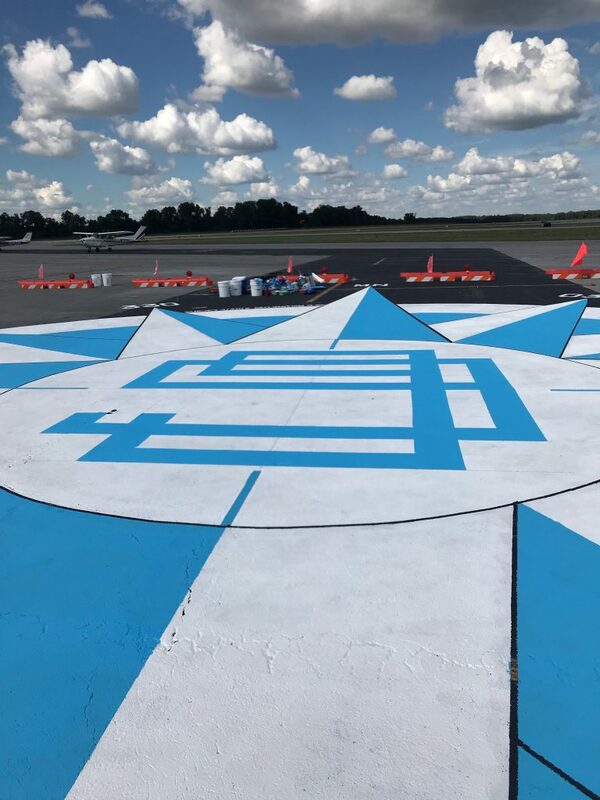 The Greater St. Louis Ninety-Nines chapter (women’s pilot organization) held this painting event this year to paint an 80-foot compass rose at KMDH (SIU Carbondale) on September 15 and 16, 2018. The compass rose painting went very well on such a hot day and there were a good number of volunteers both days. 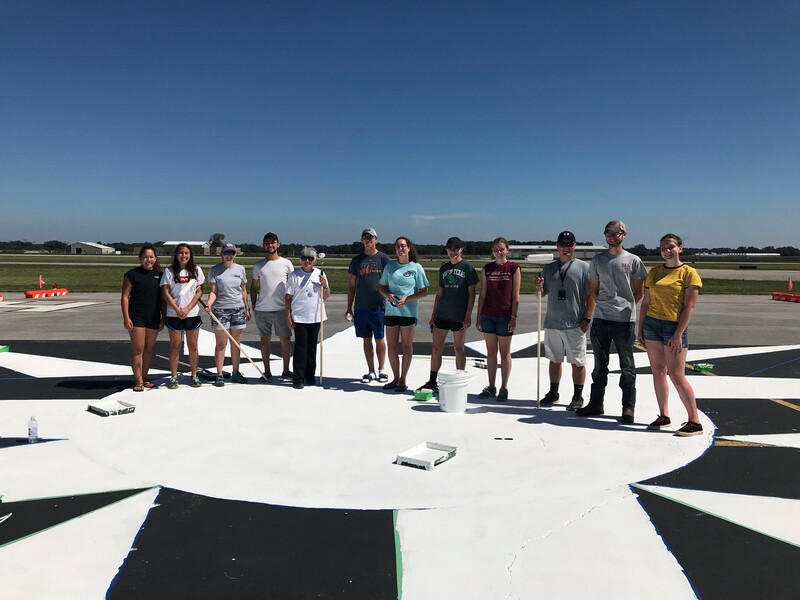 Melissa Shantz and Elizabeth Waltz, from AeroNavData, joined members of the Greater St. Louis Ninety-Nines, Women in Aviation SIU Carbondale, Alpha Eta Rho Carbondale, as well as airport staff to work on the project. The airport generously provided lunch and we were all thrilled to get to be a part of history. The Ninety-Nines have been Air Marking since the 1930s! Click here to read the history! The Compass Rose and Markings were completed in time to be on display for the AOPA Fly-In at KMDH Carbondale on October 5-6, so potentially thousands of people will see it that weekend. Click here to check out the AOPA event. Melissa, Elizabeth and all of us at AeroNavData, were pleased and honored to have team members participate in the Greater St. Louis Ninety-Nines with the compass rose project. In addition, AeroNavData was proud to make a donation that was used to contribute to the cost of the paint and supplies.